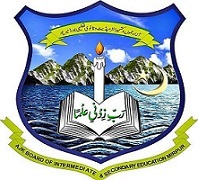 Mirpur, Board of Intermediate and Secondary Education Mirpur, AJK will start BISE Mirpur AJK Intermediate class part 2 annual exams 2019 during the month of April 2019. The students of Azad Jammu and Kashmir region receive BISE AJK FA/FSc-II Annual Date Sheet 2019 on their home addresses and they will watch BISE AJK HSSC-II date sheet 2019 online. The papers are conducted according to BISE AJK Inter class part 2 timetable 2019, which is provided with complete schedule. The students are asked to check the date and time of all papers and they will appear in their papers on the given schedule.